Getting back into riding after a hiatus can be harder than you can imagine for a lot of reasons. First off, you aren’t the same person mentally and physically that you once were. The phrase “ignorance is bliss” takes on a whole new meaning. Back when you first started riding, you just did it. You put all your faith and trust in your horse and did things just because your trainer told you to. Now, as an adult, you are wiser, more experienced and you aren’t only dealing with your current state of fitness, but also a head full of past riding experiences that make you analyze and re-think every move you make. It’s no wonder people who start riding again are plagued by self doubt. To get some insight on what it’s really like for someone to start riding again, I interviewed a friend who I’ll call “Beth” (because she’d like to be anonymous), who decided to get back into riding after taking about 15 years off. An avid equestrian all her life, she rode as a kid, worked in the industry and had kids who rode. When Beth decided she wanted to ride again, it was for herself and for the love of it. She didn’t do it as a business or because her kids did it, but truly because riding has been something she had loved doing all her life. The first week I started again I was shocked by how much I loved riding and how much I missed it. I was hooked. I had the fever and it helped me get through all the ups and downs of starting again. She soon realized that the biggest roadblock that paralyzes riders such as herself, who are getting back into the sport, is trusting yourself. We’re afraid we’ll lose control; that the horse will do something that will make us fall off. And we’re not sure if we can trust our instincts and bodies to react the way they should. 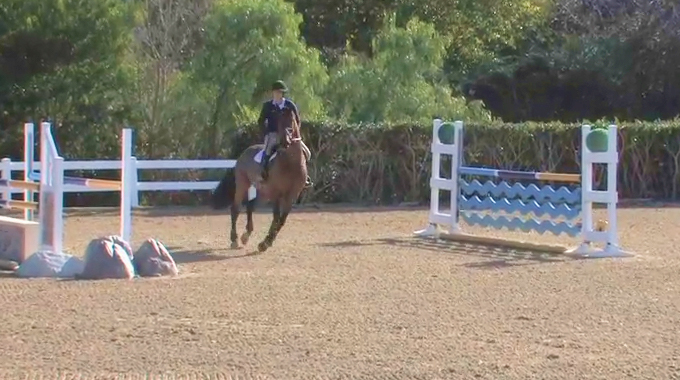 She explained that it’s not so much the falling off that’s so scary; it’s what happens when you hit the dirt. It’s gonna hurt. Because, truthfully, we don’t bounce like we used to. Plus, when you fall off it plants a seed of doubt; “Should I really be doing this again?” which makes total sense! As a kid (meaning anyone under the age of 25), when you fall off, you just get back on. Now, when you fall off you aren’t sure you really want to get back on. 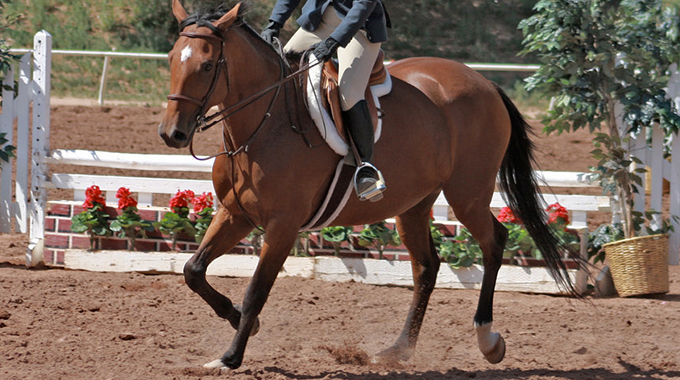 Mental Skills Coach, Tonya Johnston, has a really great topic on EquestrianCoach.com called, “Getting Over Fear,” that lends great advice on how to handle nerves and fear after a fall. Click here to view it. Beth points out that, as a kid, you’re naturally more fit. It’s so important to realize this and be brave enough to admit that you need to be physically fit to ride. Maybe when you were young it was okay to just ride, but now that you’re older, riding isn’t enough. You need to be fit to ride – you need to cross train. Riding is hard. It’s harder that you remember. So help yourself out and work on getting fit. Riding is a sport after all. 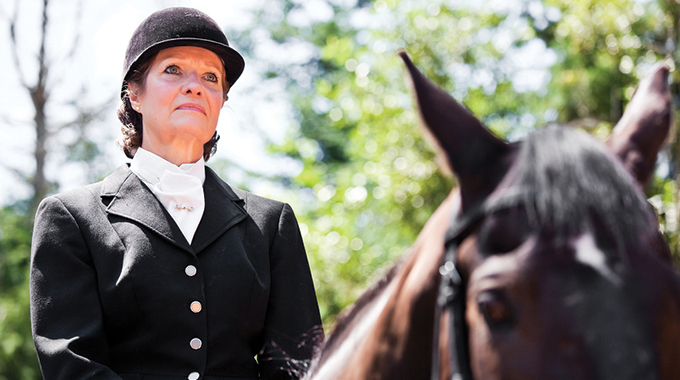 One of the biggest challenges, she says, is how hard it is to give yourself fully to the lesson and the horse. Be in the moment, listen to your trainer, TAKE THEIR INSTRUCTION, and try not to think, ‘well that’s not how we used to do it.’ That’s letting all your past knowledge and experience cloud your mind. Remember to be YOU in the now. Stop trying to prove your worth. Stop trying to show you know how because you used to. Have an open mind. Be a sponge. Listen. Another aspect of getting back into riding that is often overlooked, or not talked about, is barn atmosphere. It’s intimidating to squeeze back into your old breeches and boots, and even more so when you are faced with people at the barn that you feel are judging you on everything from your riding, to your ‘80s-‘90s style helmet and breeches. Focus on you, on your horse and most of all… HAVE FUN. Lastly, and probably the best advice Beth gave (one of the hardest things she struggles with), is to erase everything and start again after a set back. Yes you fell off, or your horse bolted or wouldn’t jump that dang brush box, but that doesn’t mean all that will happen again tomorrow. It’s hard enough to carve out the time in your busy life as mom-wife-career woman, let alone overcome the aches and pains to ride each day, so don’t bog yourself in baggage. It’s a new day and it’s a new ride each time you put your foot in the stirrup, so focus on why you started riding again; because you love it! Don’t give up, and most importantly, don’t be afraid to try…. again…. and again…. and again.